P.S. Are you on our mailing list? Subscribers get first dibs on new goodies and special access to sales — with even more exclusives coming your way in 2019! A cool-yet-cozy color palette — As much as I love the classic red-and-green pairing, I always find myself drawn towards non-traditional holiday color palettes. I especially love how pastel tones look next to earthy, natural greens! Gifts AND the perfect gift wrap — I don’t know about you, but I think pretty gift wrap is half the fun of giving presents! I’m feeling inspired this year to add some extra accents to my presents, like a cinnamon sticks or mini, personalized ornaments. Our weekend trip to LA — So excited for another short California trip this month! It’ll be right in the middle of our holiday event madness, but I’m thinking it’ll be a nice little vacation to prep me for the final push. Comment below if you have any suggestions for must-visit LA spots! What are you most excited for this month? Studio Scenes: Our NEW Holiday Cards Are Here! Growing up, my family waited until December to put up our Christmas tree and do our gift shopping — so I’ve never been one to get a jump start on the holidays. But now that I’m in the world of stationery design, I find myself thinking about holiday collections pretty much year round — case in point, I’ve been sketching out this year’s cards since early summer! You’d think I’d be tired of them by now, but I’ve actually been getting more excited as we approach the winter months — and now that I finally get to share the 2018 collection with you! Our cards are known for being sweet and simple, but they’ve still got tons of personality! There’s a little something for everyone in this year’s holiday collection — the ski bunny, the beer lover, the fashionista, etc. I especially love that you’re able to buy our holiday drink cards as a variety pack so you can speak to your friends and family’s specific tastes. Check out the full collection below! Each design is available as a single card or as a box set of 8 — our holiday drink cards can also be purchased as a variety pack of 8 (including 2 of each design). 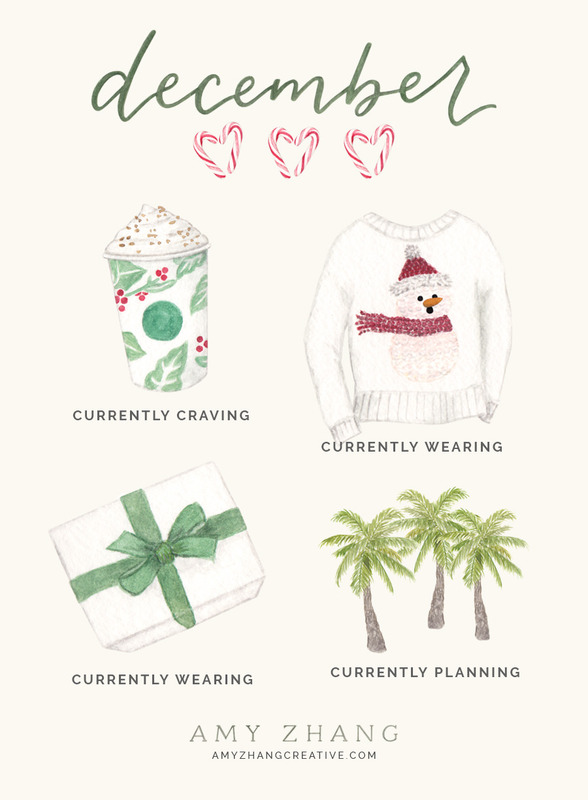 Who else is getting excited for the holidays? !